What happens to the scores after the performance? What is the annual cost of equipping the orchestra with scores? Are they bought off the shelf and used as is, or is a score rewritten to suit Symphony Nova Scotia? Our Classical Library contains 2100 works and dates back to the 1950s and the Halifax Symphony and Atlantic Symphony orchestras. 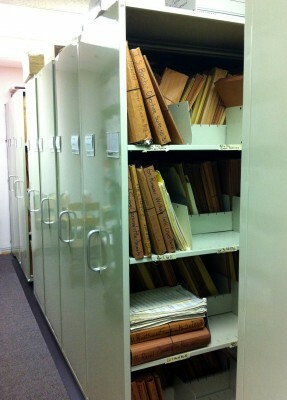 We also have a collection of scores numbering around 180 and a collection of about 100 small chamber ensemble pieces. We have about 400 titles in the Howard Cable collection and 1000 titles in the Maritime Pops collection. We spend about $4,000 dollars per year on purchases of music. We also spend about $8,000 per year on rentals of music that cannot be purchased. These are pieces that are still in copyright and are not for sale. We pay for each performance of these rental pieces. After a concert, the music is collected, sorted, and put back in storage in the Symphony Nova Scotia library, and in the case of the rental music, it is returned to the publisher. For the Maritime Fusion series, we pay arrangers to create orchestral accompaniments for our pop artists. It takes a lot of creativity, skill, and musical knowledge to create a good orchestral arrangement. It is important to accompany the solo artist(s) and not overshadow them and at the same time, we want to display all of the colours of the orchestra. It is a fine balance that must be struck. Sometimes as many as eight new arrangements are created for a concert. These scores and parts have to be printed in-house from PDFs and computer scores. After the concert, the arrangements are collected and sorted and put in storage in anticipation of future concerts. We like to be able to play arrangements more than once so that we get some mileage out of our investment.